The manual spin modules by SAWATEC are used for substrates with no or very low surface structures. 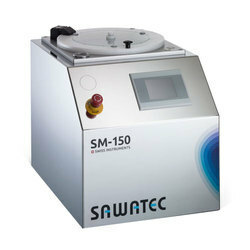 All commercial photoresists can be coated homogeneously on wafers up to 300mm or 9×9 inch substrates.SAWATEC spin modules are preferentially used for laboratories, R&D, pilot projects and institutes. 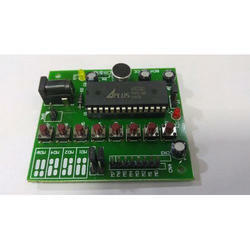 We are the leading manufacturers and suppliers of the CAN Bus Modules. Keeping the diverse requirements of customers in mind, we are instrumental in providing ZigBee Module. Cooling system modules from Alkraft offer the benefits of better compatibility between individual components, single point accountability, and cost benefits apart from the superior quality of each product. We make all combinations of radiators, intercoolers and oil coolers that are custom packaged for any need. We have an active developer of military-grade embedded AMD and NVIDIA graphic modules. Every graphic module is available in a number of different configurations, to accommodate the wide array of specific video I/O requirements. If we do not have the video I/O you require on one of our COTS modules, we also offer MCOTS configuration options, guaranteeing the perfect fit with your products. Power Converter Modules DCS800 are compactly designed to be installed into a customer's own cabinet. Modules enables OEM's, system integrators and panel builders to build their own drive solutions. We are looking query from Chennai. -8 LED matrix module contains 64 LED (Light Emitting Diodes) which are arranged in the form of a matrix, controlled very precisely by the MAX7219 driver to generate the color pattern hence the name is LED matrix. The BMS range is a completely new range of booster modules mainly used for reverse osmosis and (ultra-) filtration applications that improve efficiency compared to earlier ranges. It features a directly coupled pump powered by a permanent magnet motor and VFD.